Tidbit Food Farm and Garden provide amazing food, a beer garden and great shopping all in one place! We have been talking a lot about the famous eating places in Portland, the wineries and more. But, today we bring to you something that has fetched international attraction and won the hearts of people from near and far. We are going to talk about the legendary food carts in the city! The popularity of these carts can be imagined from the fact that they have been acknowledged by CNN as the World’s Best Street Food. Today we are going to take you up close and personal to one such place that has full gastronomic feasts on display for you – The Tidbit Food Farm & Garden! Located at S.E. Division Street, this food cart extravaganza is just a stone’s throw away from some of the top eateries, like Pok Pok and Salt & Straw, in the city. But, the mouth-watering fares that you can expect to get here at Tidbit will compel you to believe that Portland definitely deserves the title that CNN bestowed upon it! 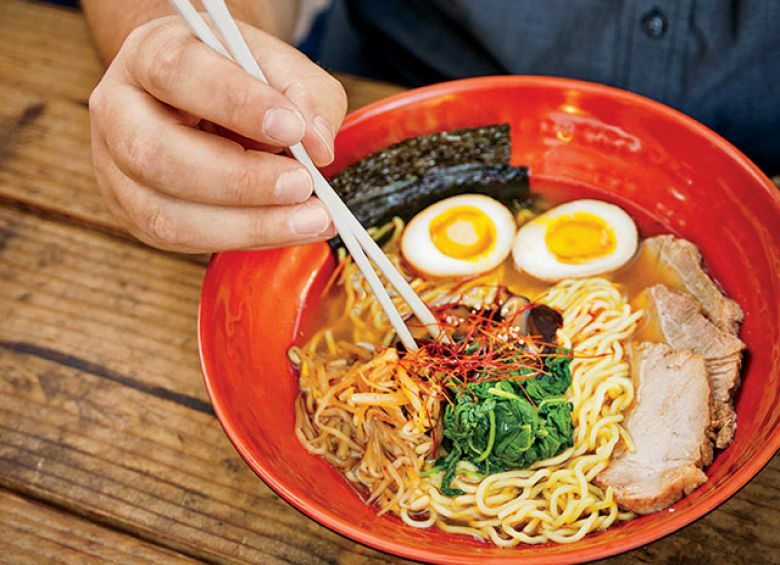 Starting with piping hot ramen noodles from the Hapa, the drunken noodles at E-San Thai, and the bibmbap at Namu – you can find some great variety of global cuisine here. Also, you cannot afford to miss out on the Tikka Masal from Tandoor that brings to you the authentic flavor of Asia in the heart of America. Apart from this, pork stew from Tambayan and Roasted pepper tips from Love Belizean are going to leave you wanting for more. There are so many options that it can be difficult to decide which ones try and which ones to leave for another time. How can drinks be far behind when we are in Portland? Tidbit has some of the most amazing options for coffee lovers. Dogbone Farm, which is known for their roasted Coava Coffee, is famous for being based out of a 1934 Divco Twin Coach Delivery Truck. If you prefer tea over coffee, then Buki has got the most wonderful house-made bubble tea for you that complements quite well with the Japanese street food that you can get here. 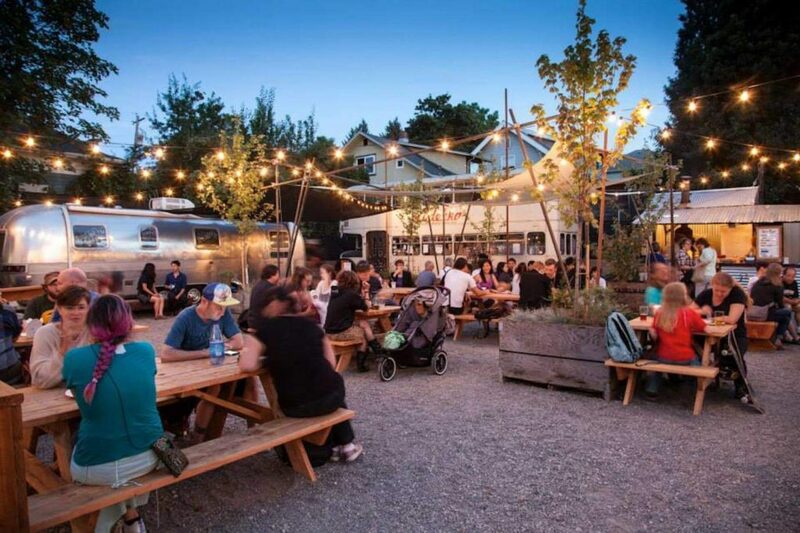 Also, the Scout Beer Garden is a great place to try out the Portland’s famous craft beer. To make the experience even better, there are some great places to shop here at Tidbit as well. 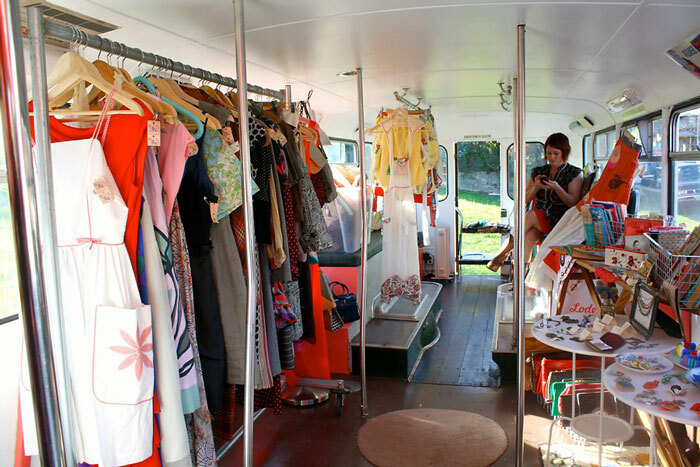 From beauty products at the Menagerie to vintage dresses and retro fashion items at Lodekka, you will certainly not run out of choices for shopping here! So, this is the beauty of Tidbit! 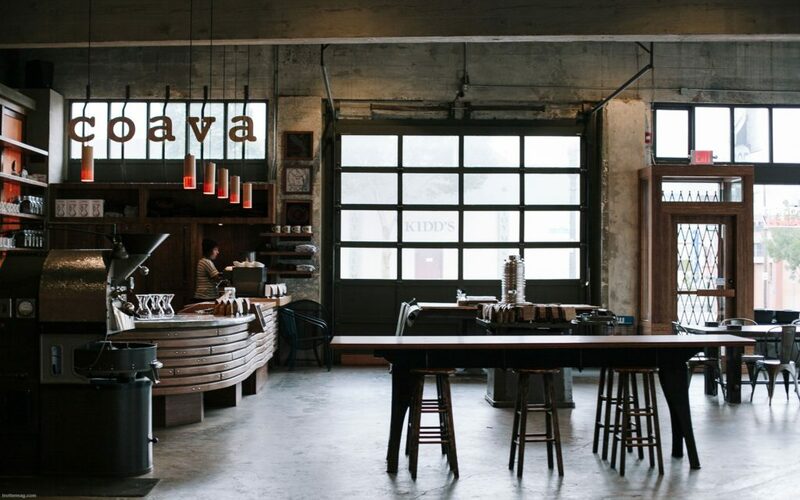 If you are in Portland, then don’t forget to visit this amazing place. After all, where else will you get a beer garden, party vibes and a great boutique shopping experience all at one place?